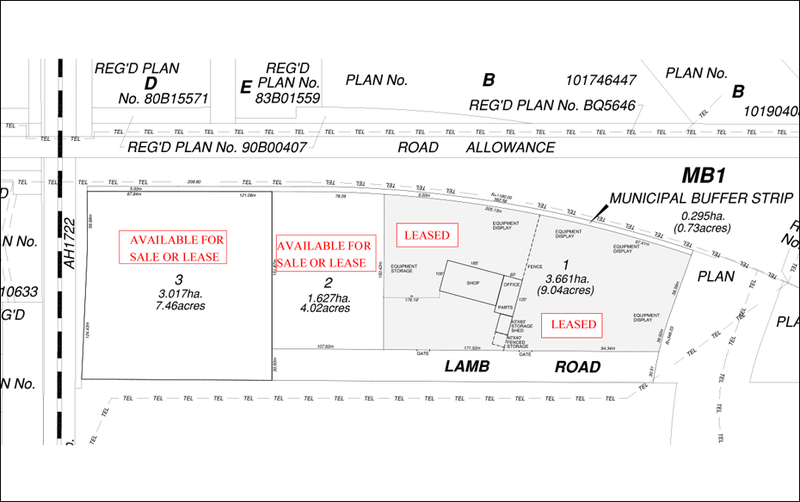 This parcel of land is 25 acres located at NE 36-49-28 W3M. Download the PDF. Fenced 4 acre parcel is currently leased to a local landscaping company for storage. 7 acre parcel is currently available for purchase or lease. Building #2 has been beautifully custom designed to serve one of our customers with 30,000 square feet of office and shop space. The building will be completed November 2015 and will be occupied by a local farm equipment supplier. This parcel is 1 quarter section of land and is located at NW 33-49-27 W3M. 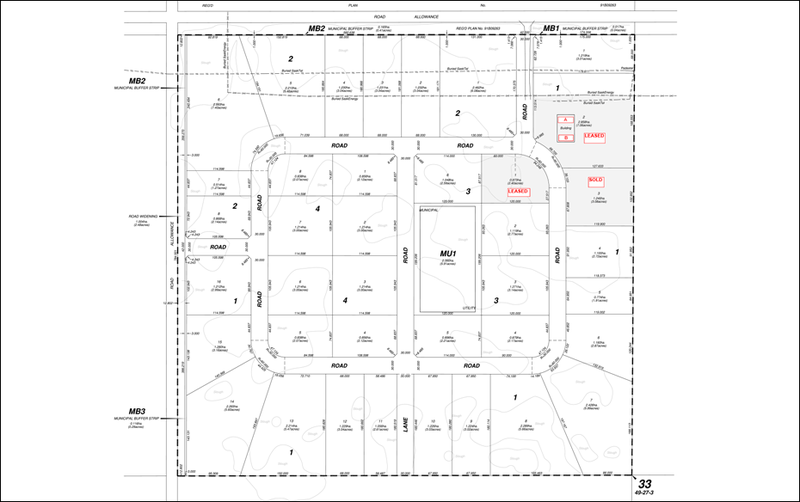 Phase 1 includes 50 acres with available parcel sizes ranging anywhere from 2-50 acres available for purchase or lease. Download the PDF. Fenced 2 acre parcel is currently available for lease. Building #1 is 16,000 square feet occupying a fenced 7 acre parcel of land and was completed May 2014. Currently, there are three companies leasing space in building #1: mechanical service, picker service, and oil tool rental company. Fenced 3 acre parcel has been purchased by a local company for storage.